How do you set your own nameservers? To begin with you need to select the name server software. cPanel and WHM offers some different choices as part Name Server Selection describes. We always recommend Bind as shown below. 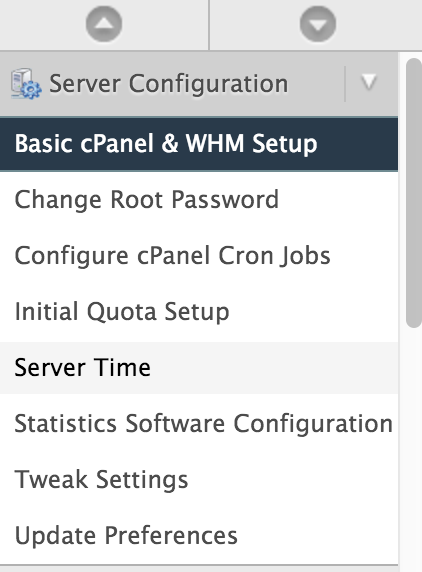 Then go to the server configuration and basic cPanel and WHM setup. At the bottom of this page you can where you can fill in the name of service. Each name server you turn needs a name, and you have to put up at least two, if you did not select Disabled in the previous step. - The name must consist of a prefix, a period (. ), And your domain name. - Your name servers can not share the same name. - Your customers or perhaps you need to put the name servers manually at any time so we strongly recommend that you use the name that reflects your business or your website's name. Then select the desired IP and assign an IP name servers were. - We recommend choosing different IP addresses for the different name servers. - See also that the domain name servers use have an account o WHM. After you have configured the server name service, you must register your name servers at your registrar. Once you have registered your name servers, announced their existence to the rest of the Internet. This does not in WHM or cPanel, but you must do it otherwise will not name servers operate. You should contact support for this if you have domains registered with Miss Hosting.